Dana Orozco, a biological sciences freshman, and Alexia Fox, a criminology and criminal justice freshman, enjoy a coffee break outside Tooker House in Tempe, Arizona on Friday, Sept. 8, 2017. In early August, Google fired an engineer who authored an internal memo criticizing company diversity initiatives and arguing that women shouldn't be in technology jobs. But officials at ASU didn't get the memo. The University continues to encourage more women to pursue science, technology, engineering and math (STEM) degrees as part of its broader diversity programs. “The University works hard to close the gender gap in STEM education by proactively engaging with the community to break down barriers that prevent girls and women from pursuing STEM careers,” an ASU statement said. Nadya Bliss, Ph.D, the director of ASU's global security initiative, works with the Ira A. Fulton Schools of Engineering to integrate more women into computer science fields. Bliss said that ex-Google engineer James Damore's memo wasn't grounded in reality. Bliss has co-sponsored ASU women’s groups to go to Grace Hopper, an annual computing sciences convention for women. She said ASU does an “excellent job” focusing on diversity and inclusion at the student, faculty and leadership levels. The entirety of ASU's faculty is split 54.6 percent to 45.4 percent in terms of male to female ratio, showing only a 9.2 percent difference in female hiring. Austin Brooksby, a freshman studying mechanical engineering, said all of his professors are male with the exception of the teacher’s assistant in his chemistry lab but that he felt diversity of thought was more important than gender or racial diversity. Brooksby said he thinks Google’s backlash against Damore was too strict. But Bliss said ASU should continue its efforts on a larger scale because of the University's massive population. From 2002 to 2014, the amount of women in STEM majors more than doubled, from 3,307 to 7,062. However, the number of women enrolled in STEM majors is less than half of the number of men. Bliss said she is a role model for her 6-year-old daughter, who wants to be a mathematician. “I try to model the fact that you can be a girl and a mathematician at the same time, and that’s OK,” she said. The importance of role models drives much of the University's effort in increasing diversity in engineering programs. The Fulton Schools launched a poster campaign to encourage high school students to pursue engineering. Tirupalavanam Ganesh, assistant dean of engineering education at the engineering school, said he hopes that when students see the posters of STEM students and professionals who look similar to themselves in terms of race, ethnicity or gender, they believe they can achieve the same goals. Jennifer Blain Christen, an associate professor of electrical engineering at ASU, went to the same high school as James Damore, the Illinois Mathematics and Science Academy, which was about 50 percent women when she attended. Blain Christen said she has noticed more women in the electrical engineering faculty since she joined ASU in 2008, but she hasn't noticed the same change in the student population. Elizabeth Jones, a freshman studying electrical engineering, gave a similar estimation and stressed the need for more diversity in engineering programs. “Engineering is all about problem solving, so if you only have one type of perspective approaching a problem then you’re really going to be shorthanded for what you can actually achieve,” Jones said. Jones said her mother was a single mom who worked two to three jobs at a time, so she spent a lot of time with her grandfather who inspired her to become an engineer because they always built together. Fariya Sharif completed her graduate degree in engineering at ASU in 2013 and then went into the mining industry, which is 86 percent male. Now, she works at an engineering company called HDR. “I’ve honestly never faced a situation where I thought, ‘I should’ve been a man,’” Sharif said. Sharif said she thought ASU was very diverse, especially among her research group, in terms of the female-to-male ratio. Tirupalavanam Ganesh said increasing diversity is a challenge that many engineering schools nationwide should be actively addressing. He aims to do this by creating a sense of belonging for students while building their confidence. “If somebody says, ‘I don't belong in there because I think it’s only a male-dominated profession’ we want to show them that's not true,” Ganesh said. Ganesh said it’s important for engineering schools to be diverse because their graduates will soon be the ones creating new technology for the whole population. “We have more participation from various populations than we’ve ever had before, but the challenge is always going to be it’s never enough. It's only going to be great when you have the (entirety of the) population represented,” Ganesh said. Reach the reporter at anbuechl@asu.edu or follow @alexa_buechler on Twitter. 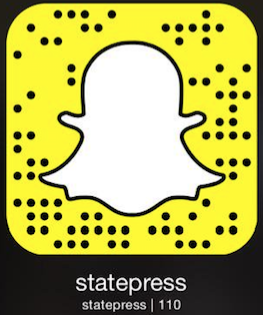 Reach the reporter at afsuthe1@asu.edu or follow @a_sutherland10 on Twitter. How much more will ASU build in the next three years?